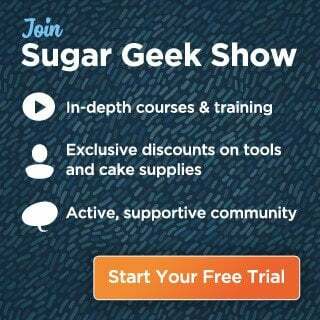 Do you find yourself struggling while making little cakes? Do you ever just want to pick it up and throw it across the room? Hey, we’ve all been there, it’s just the nature of small cakes. They don’t have enough weight to stand up to being pushed around, it’s not their fault. 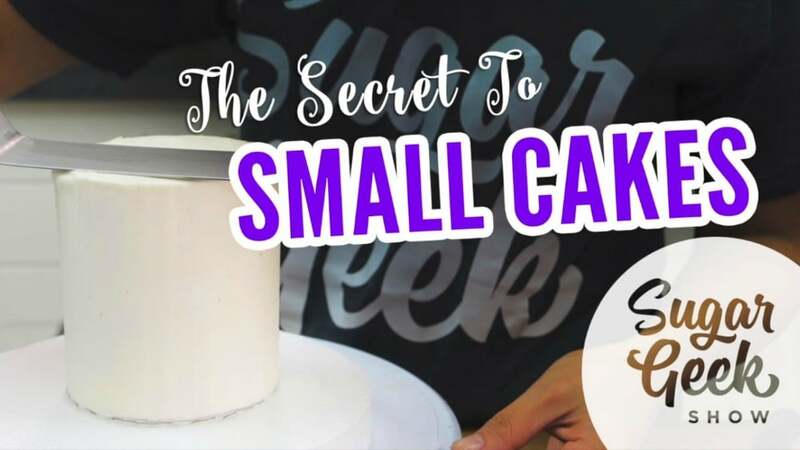 So put down the 4″ cake, take a deep breath and read this blog post because we have a pretty amazing tip for you today! 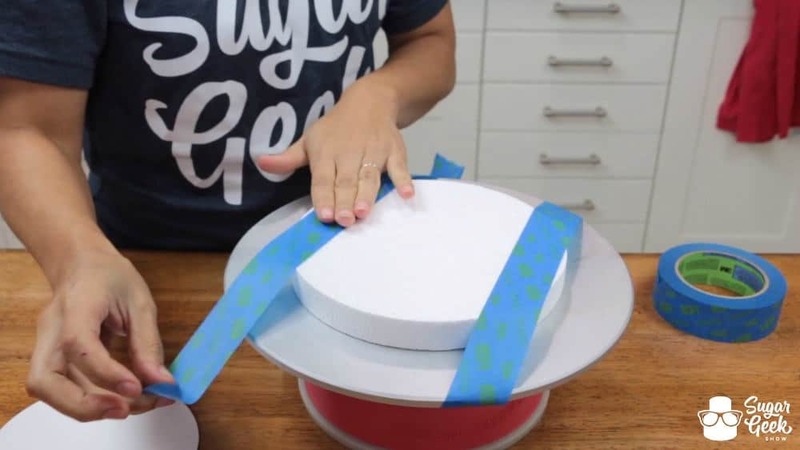 Using some painter’s tape, tape down a piece of styrofoam to your turntable, you should be able to find some at your local craft store or you know there’s always Amazon. 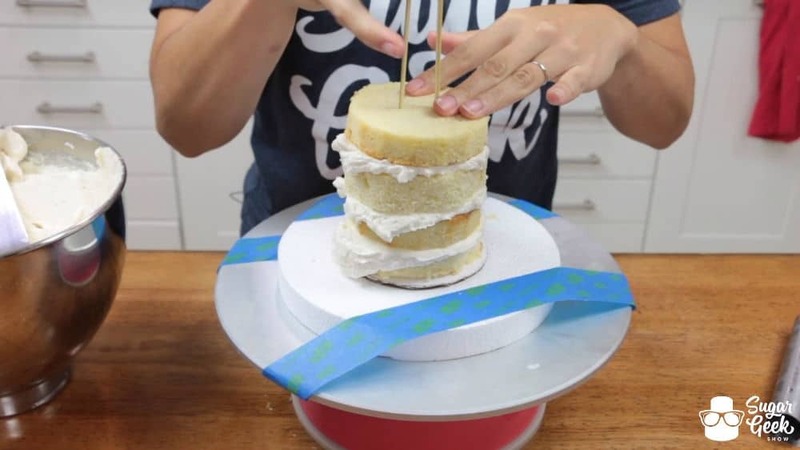 Don’t have 4″ cake boards? Neither do we. 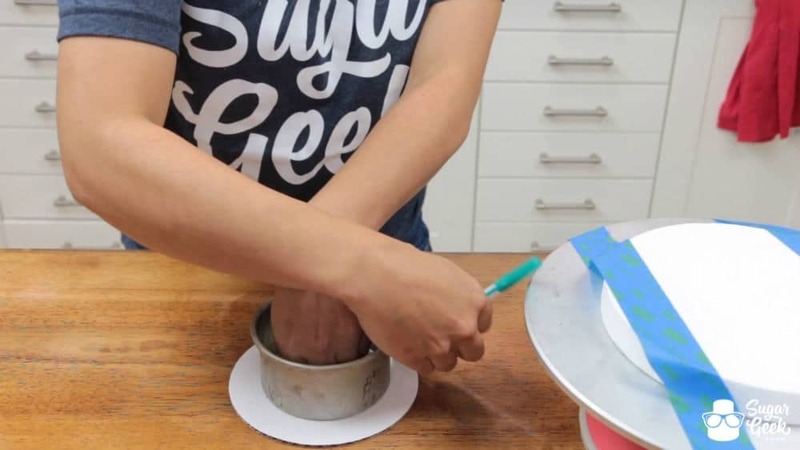 Trace your cake pan and cut it out from another board. Torte and fill your cake like usual, you will have to hold your cake steady for this part. 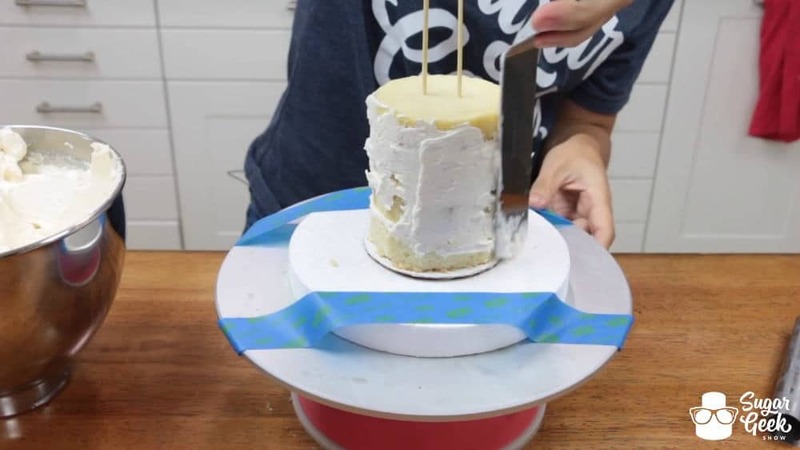 Insert two wooden skewers (like the kind you use for kabobs from the grocery store) through your cake, through the cake board and into the styrofoam. This is going to make that little sucker nice and sturdy and repair your strained relationship. Proceed to crumb coat, chill and final coat your cake. Check out our other Basics Series blog posts if you need more info on the torting, filling and crumb coating steps! All links for the Basics Series can be found at the bottom of the post. That’s my tactic to try to get you to finish. 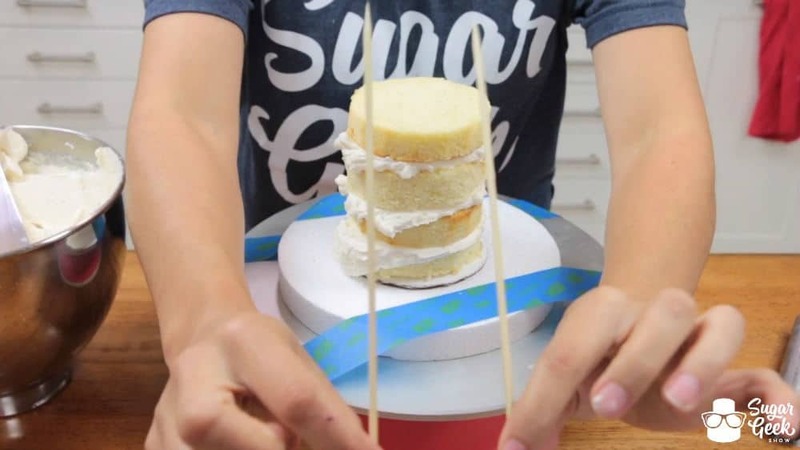 Once the side of your cake is complete, remove the skewers from your cake and smooth the edges with your offset spatula. Remember, this should be a chilled, firm cake so removing the skewers will not hurt the cake. 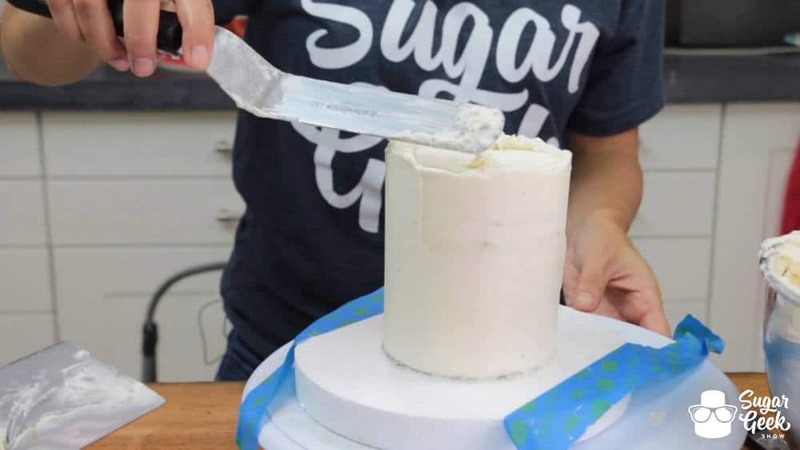 With any luck you will have some buttercream adhering your cake to the styrofoam for this part. There ya go! 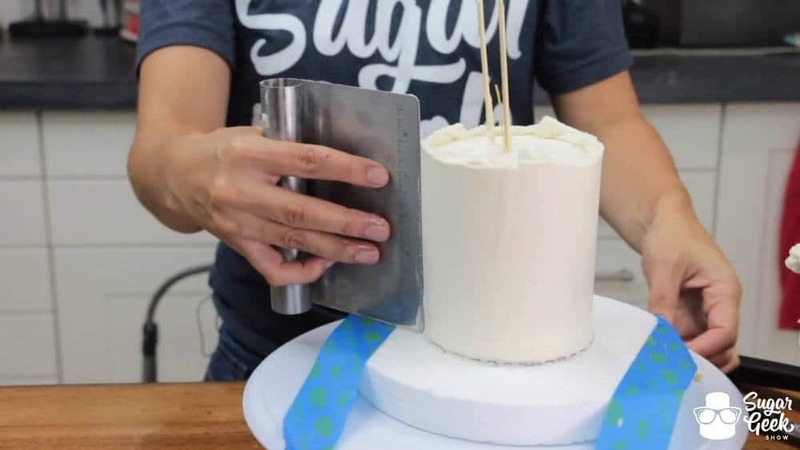 You’ve successfully frosted a 4″ round cake without any casualties and your sanity intact. 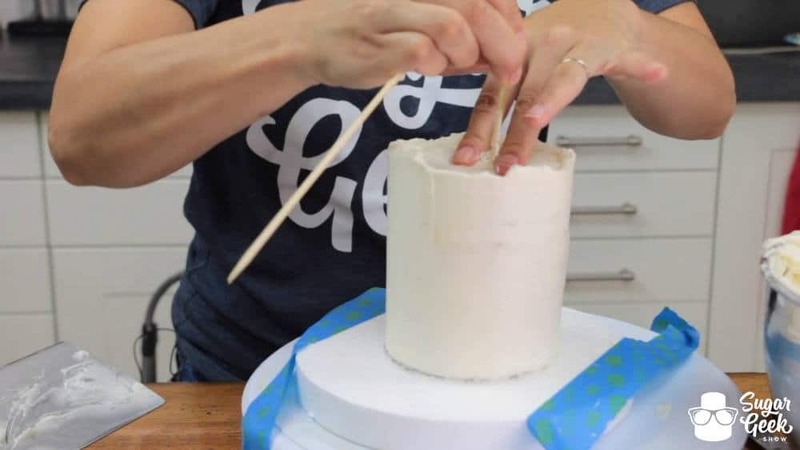 I would imagine you could also quickly stick a skewer back into the top of your cake after you lay your fondant on and smooth the top to help you keep the cake steady while you also smooth the sides of your fondant. Of course, that will only work if you will be able to cover your hole up with a decoration. 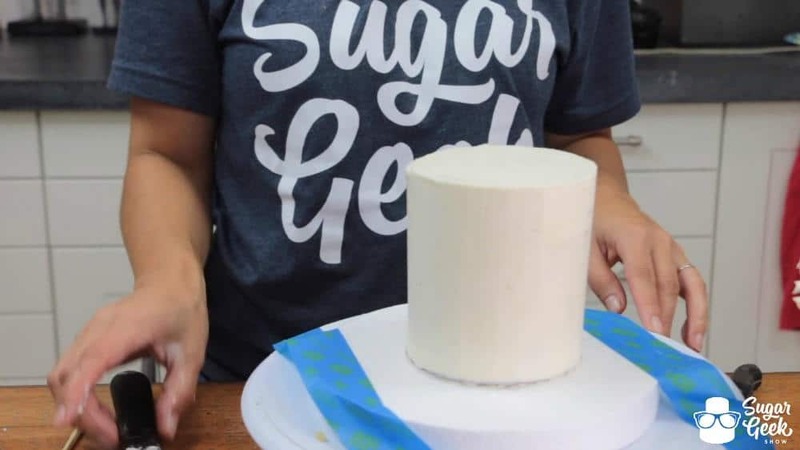 We hope this little tidbit helps you with your small cake endeavors because honestly, the struggle is real.